In 1914, a baker and egg salesman decided to join together to produce baked goods with the freshest ingredients. When the baker’s wife deemed the results of their efforts “tasty,” Tastykake was born. Now, the Philadelphia-based company sells more than $250 million worth of cakes and pies annually across the East Coast. “We gave drivers the choice and they chose Zebra nearly unanimously,” O’Malley said. Although drivers preferred Zebra, O’Malley was concerned about printer compatibility with existing handheld applications—especially given the number of routes the company runs. If upgrades affected the integration between computers and printers, complications in the field could outweigh the benefits of switching. However, Zebra offered emulation firmware that greatly simplified the transition. AZebra partner, created the custom firmware for Zebra, allowing Zebra printers to talk to Tastykake applications. Zebra printers have withstood the demands of the Tastykake delivery environment. 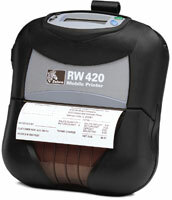 “Zebra printers are rugged, compact, fast and inexpensive to operate,” O’Malley said.